The Cockapoo, sometimes referred to as the Cockerpoo or Spoodle, is the granddaddy of designer dogs. 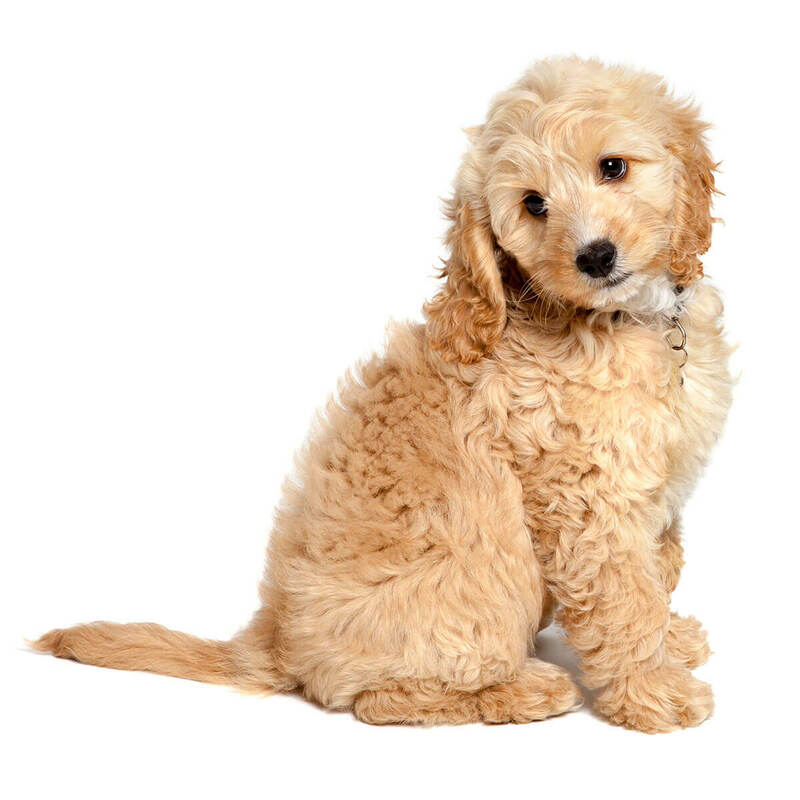 Cockapoo puppies will inherit physical and behavioral traits from their well-known parent breeds, the Cocker Spaniel (usually the American Cocker Spaniel is used, but sometimes the English Cocker Spaniel may be one of the parents) and the Poodle. To best understand your Cockapoo, you should learn about both Cocker Spaniels (American and English) as well as the Poodle in all its variations: Toy, Miniature and Standard because the Cockapoo may be bred from any of the three. Cockapoos are very friendly, intelligent and playful dogs. They love making new friends, being taught tricks, taking long daily walks, showing off what they know and playing with children and other pets. They are great companions who adore attention, require low to medium maintenance and have a seemingly endless well of energy. Be sure to factor into your budget regular trips to the groomer unless you have the time and patience to properly learn how to trim their fast growing coat. The Cockapoo may well be the perfect family dog. 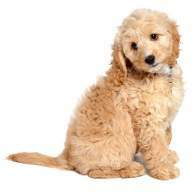 Although the Cockapoo's parent breeds, the Cocker Spaniel and the Poodle, are formally placed in the sporting group of dogs, the Cockapoo is usually considered a non-sporting dog, and occasionally considered in a group shared with Doodle mixes (Labradoodles, Golden Doodles, etc.). As the Cockapoo is believed to be the first designer dog, the traits of their parent breeds are very rarely prompted to be used. This hybrid is best suited for indoor companionship for people and families who can be home with their Cockapoos most every day and all day, and are comfortable in small apartments and large houses alike. 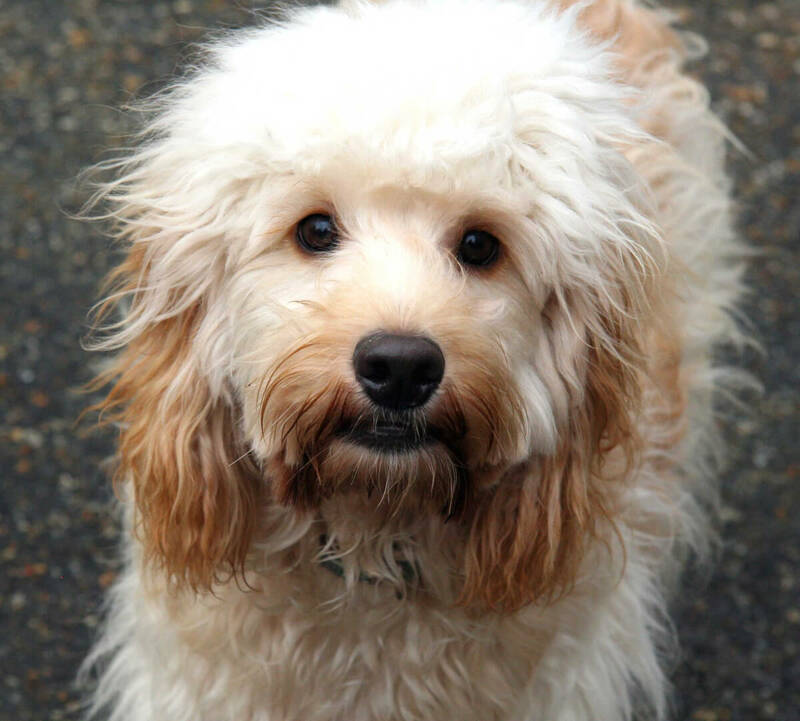 Below are some Cockapoo facts to consider before adopting one of these cute hybrid dogs! When mature, your Cockapoo may weigh anywhere from 3 pounds to 25 pounds or slightly more. Likewise, her height can range from less 5 inches to just over 15 inches. Although the smallest mature Cockapoo may seem a perfect fit for a small apartment, she will still run around a lot, want oodles of attention and "demand" be regularly walked. Easily one of the best good-natured dogs alive, the Cockapoo will make friends everywhere. They play well with kids because they can endure a bit of rougher handling than most dogs, and they love to meet other peoples' pets. It should be known, however, that they do have a tendency towards separation anxiety. If frequently left alone and with little to do, they will quickly acquire bad habits and may exhibit aggressive behavior in the presence of strangers, children and other pets. Your Cockapoo will want a lot of attention and will reward you with love and devotion. Long daily walks, frequent and regular brushing and constant attention should not be considered as chores if you get a Cockapoo; they are intuitive dogs that can sense a person's mood. As such, they are basically low-maintenance dogs with possibly hypoallergenic coats that don't shed much (if at all) but do grow constantly. You may need regular trips to the dog groomer for hair clipping — unless you have learned to properly do this task yourself. 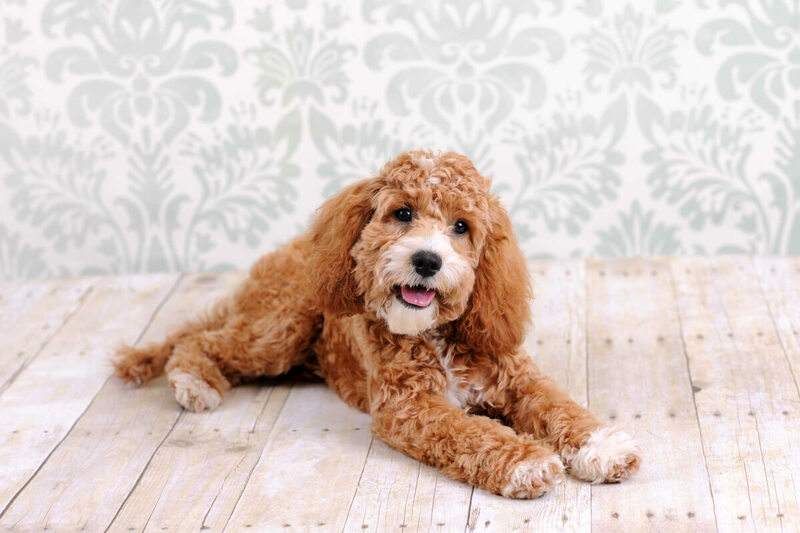 The Cockapoo was a game-changer in the world of dog breeding, and the parent breeds, the Cocker Spaniel and the Poodle, are even more spectacular. (This seminal hybrid’s Cocker Spaniel parent is usually the American Cocker Spaniel, but the English Cocker Spaniel is also used and if so, does well enough; the difference between the two is that the American Cocker Spaniel was bred more for show than for hunting.) The Cockapoo was intentionally bred in the early 1950s; by the 1960s, it had become popular. The goal was to conceive an intelligent, family-friendly and all-around amicable dog that was also healthy, hypoallergenic and free of the significant maintenance that many dogs require. The Cockapoo will inherit characteristics from both parent breeds, but not all Cockapoos will get the same ones and these traits will exist in varying ratios. Basically, however, your Cockapoo will most likely have a square, sturdy and compact frame that can vary greatly in overall size due to what type Poodle was used as the parent; large, round brown eyes with a wistful look; medium to long ears that will look fine either way; and usually a scissor bite, which is an over- or under-bite. (Some will have teeth that align perfectly, however, and while this is not frowned upon by Cockapoo club registries, the scissor bite is apparently preferred.) The happy Cockapoo will carry his tail either curled or straight, and most clubs say it shouldn’t be docked. The fur can be coarse and curly or silky and smooth. The Cockapoo can come in a great variety of coat colors and patterns. Their coats may be white, black, beige, cream, red, tan, silver, brown or sable. They may have any manner of patterns including spots, white patches or even a merle coat, which could cause bluish or reddish spots and also create blue or oddly colored eyes. A Cockapoo may be anywhere from 3 to 25 pounds once mature, and the size can be determined by the type of Poodle with which the parent Cocker Spaniel is bred: a Toy, Miniature or Standard Poodle. The smallest, which some call a “teacup,” will weigh less than 6 pounds; the “toy” Cockapoo will be from 6 to 12 pounds. On the medium to large side, a “mini” will weigh from 13 to 18 pounds, and the “standard” will clock in at 19 or more pounds. The height will correspond to the weight, of course, and that height may be anywhere from just under 8 inches to 15 or more. The “teacup” Cockapoo tends to be less than 8 inches; the “toy” is 8 to 10 inches; the “mini” stands 11 to 15 inches; and those that are 15 inches or higher are the "standard". In any case, your Cockapoo will be a relatively average weight that will most likely will be perfect for holding, hugging and any size home. The medium- to large-sized dogs may seem small, too, but they will have the demeanor and be big enough to play with larger dogs. There are essentially four generational variations of the Cockapoo hybrid: F1, F1B, F2 and F3. Although variations subsequent to the F3 may eventually occur (most breed clubs and kennels tend to formally recognize a hybrid as a purebred once the breeding variation reaches F7, which is when the "hybrid vigor" of crossbred dogs is gone), there is presently very little demand for the F4 and beyond. The F2 Cockapoo is produced by cross-breeding two F1 Cockapoos, the F3 comes from breeding two F2s, and so on. Regarding coat types, a Cockapoo may develop one of these three styles: a soft, silky, ringlet-styled coat; a slightly less soft coat with tight curls; or a straight coat. The Cockapoo coat type may often be determined as early as when a pup is around six weeks old — but determining this is usually best done by an experienced breeder as well as one who knows whether the pup was an F1, F1B, etc. The ringlet coat tends to be very low-shedding, have little dander and be nearly allergen-free as well as be relatively low-maintenance. The tight curl coat will require a moderate amount of maintenance for while it too is low-shedding and practically free of dander and allergens, it will grow a lot and get thick if not trimmed regularly. The straight coat is also a low-shedding, almost allergen- and dander-free coat that will need a little more maintenance than the ringlet coat but less than the tight curl one. If there is a dog with the nearly perfect temperament, it may be the Cockapoo. Friendly to all, ready to play, highly intelligent, extremely energetic, an ability to adapt to small apartments, large ranches or anything between, easily trained and sometimes comical may well describe the typical Cockapoo. They are also excellent therapy dogs, as their remarkable intelligence allows them to understand your moods. Their temperament is nearly perfect to a fault: they are well-known for having a separation anxiety that, if allowed to manifest, can result in destructive behavior, barking and intensive scratching. It should also be understood that Cockapoos are not to be left alone or idle; their boredom will lead to bad habits. Their adoration, trust and intelligence require attention, reciprocation and activity. Agility exercise, lots of walks, playing fetch and puzzle toys are recommended. Other pets are great too. Of course, any given Cockapoo’s temperament relies on the characteristics inherited from its parents and in what proportions they are inherited. There may be no better dog for children than the Cockapoo. They love children and are very forgiving, and they will bask in the attention that kids will no doubt shower on them as they play together. Nevertheless, your Cockapoo should be socialized early and brought up with any children living in the home, and the kids should be taught how to respect pets so as to avoid any unpleasant incidents. Cockapoos get along very well with other pets. Despite coming from parent breeds with long histories of hunting, Cockapoos tend to not be hunters with smaller animals - even if very small animals may think otherwise when your Cockapoo wants to play with them. They are great with cats too. To the Cockapoo, everyone is a friend! They love to meet new people, explore new friendships and play with anyone who will move. They may bark a bit in the presence of strangers, but it’s usually to invite them to play and not out of aggression. If they do exhibit bad behavior around strangers, it most likely means they are unhappy with other things in life, so be sure to understand the differences in your Cockapoo's barks. Below are pictures of the Cockapoo dog breed. The Cockapoo tends to be medium-maintenance dog, and much of the degree of what you may believe “medium” depends on. Frequent brushing, long daily walks and agility playtime should not be considered chores but part of life with your Cockapoo. He will love you all the more for this perspective, and he will most likely be able to know if you are sincere. If you have regular get-togethers with friends and their pets, he will love you even more! The Cockapoo loves attention, and the frequent grooming is sure to contribute to that. 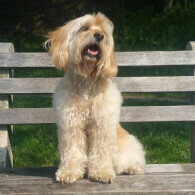 There are a number of coat styles that a Cockapoo may have, and all of them require brushing although some (the wavy or ringlet coat) will require more than others (the straight coat). Their coats will shed very little yet grow a lot, and as such they will need to be kept free of matting, debris and dead hair. Cockapoos should be brushed at least two to three times every week and bathed no less than once every two or three months. Daily brushing is not discouraged, and more frequent bathing is fine so long as gentle shampoos that don’t contain detergents are used; they destroy the dog’s natural oils and leave the skin dry and vulnerable to rashes. The face and head will need special attention so as to keep the hair out of their eyes and buildup out of their ears. Hair trimming should be done by professionals, as should nail clipping. If you do want to undertake such things yourself, however, there are classes offered by pros who will show you how to do these things carefully and properly. Exercise is essential to the Cockapoo. Left idle for too long, they will quickly acquire bad habits such as chewing on things, furiously scratching themselves and incessant barking. Daily walks are practically mandatory, and agility sports will keep them very happy, healthy and living long. Lots of chew toys along with balls to chase and Frisbees to catch are highly recommended. Most Cockapoos may like swimming too — after all, they come from parent breeds that were trained to flush out or retrieve birds hiding around or felled in water, and those inherited traits may be very strong. A Cockapoo can live in most any abode: small apartment, massive ranch, mid-sized home with a small yard, etc. 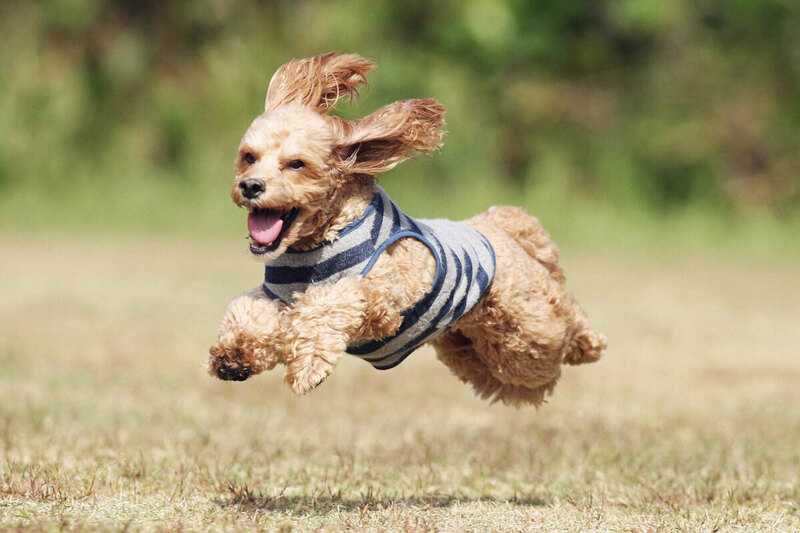 While your Cockapoo can adapt to apartment living, they will most likely only do so if long daily walks and visits to the dog park (or places where they can run free for a while) are made part of your day. The ideal home is one with a fenced-in back yard. If they have the thick curly coat, they will be able to stand colder weather, but if where you live is hot, they should not be kept in the hot sun for long periods of time as they may overheat. When outdoors, be aware that your Cockapoo's natural hunting instincts may kick in, and while she may be chasing an animal just for fun, the "hunted" creature may not share that frame of mind and the results could be unsettling. Early and persistent training can help prevent such a scenario. As Cockapoos are happy, intelligent and hardy dogs, they tend to have a longer lifespan than most hybrid dogs. When properly cared for, your Cockapoo should live to be 14 to 18 years old. If carefully bred, the Cockapoo can be far healthier than most dogs, but they still have some health problems. Some of the things for which you should look out are parvo, eye problems, ear infections, liver disease, joint dysplasia and allergies. While some of these cannot be avoided due to a dog's age, others (such as the allergies and ear infections) can be mitigated or even prevented by managing your dog's diet and gently cleaning and drying the ears. Regular trips to your veterinarian are always a safe choice for any breed.